Audio Research D-60 Vintage Amplifier, Great Value!! 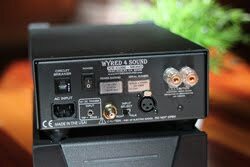 Wyred4Sound has entered into the high end audio market with plenty of experience behind its doors. Born from the skilled minds and hands of EJ Sarmento and Rick Cullen of Cullen Circuits, these two have been providing high end components for the audio industry for years. Rick used to be the production manager for PS Audio, until in 1990 he started Cullen Circuits- a provider and consultant to companies such as PS Audio, Genesis Technologies, Camelot and more. EJ has worked for Cullen Circuits since its early inception, developing his skills as a technician. While dabbling in class D ICE power modules, EJ created the first W4S amp, the 200S. Wyred4Sound has expanded their line of products to include not only the SX-1000 monoblock amps, but also stereo, multichannel and integrated amps, and DACs. Class D amplification hasn’t exactly gotten the warmest reception in the high end audio industry. In a world dominated by hot and heavy class A and class AB amps, class D has been the ugly stepchild. However, many recent enhancements in ICE power modules have made amplifier designers take a second look into the benefits of class D – cool running, efficient, and very fast. Using a power supply that operates at 100kHz and an amplifier section that runs at 500 kHz (typical class AB amps run on 60Hz power supplies), a well designed Class D amp can adapt to power needs, or musical dynamics, in an instant. W4S enhances the ICE modules by upgrading the analog section for better low end extension and overall smoothness to the sound. The question is, does their design work? Is a Class D ICE module powered amp capable of competing with the tried and true old school room heating amps? I received the SX-1000’s double boxed and in excellent condition. Unpacking most amplifiers can be quite rough on the back, but these small and light monoblocks were a breeze to remove from the packing materials. Weighing in at just 14 pounds, you could take these anywhere you go, like say over to a friend’s house? Or perhaps there is a speaker you wanted to pair them with at a local store. Absolutely not a problem with the SX-1000’s, as you can pick one up with just one hand. The build quality was immediately noticeable when I first handled the solid aluminum chassis. 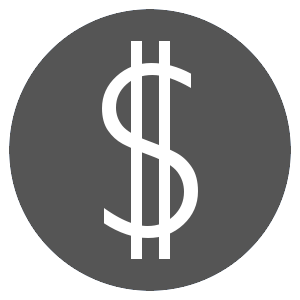 Top notch WBT speaker posts along with both balanced and unbalanced inputs put this in the high-end class. The amps are available in both a silver and black accent finish and I opted for the black so they would blend in with my home theater. A subtle blue LED line lights up on the front and is dimmable via a small dial underneath; a wonderful feature to have in darkened home theater environments. Setting up was as simple as placing the amps on top of my existing Parasound Halo A-23, a high bias class A/AB design, and switching out the connections. Until I upgrade to a new pre-amp/processor, I am stuck using the unbalanced connections. Since the mono’s draw so little power in idle mode, I just left them on 24/7. Immediately I noticed how quiet they are. Not one ounce of hiss emanates from the speakers even when the volume is cranked, these amps are dead silent. 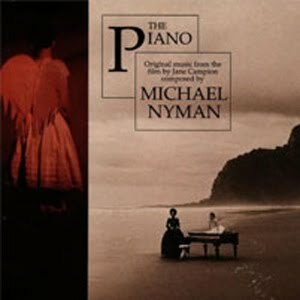 “The Scent of Love”, a beautiful piece written by Michael Nyman, opens with a piano solo and is a great test of a systems ability to reproduce the piano and sudden dynamics. The first thing I noticed when comparing the W4S to the Parasound was the overall presence of the piano. The sound had more body to it, while sounding a tad more brittle and harsh on the Parasound. I found the W4S could easily hit the loud piano notes, with the same force that player used in the recording. Near the end of the piano solo, the music unfolds with a small posse of string instruments playing at maximum volume, the change in dynamics is quite shocking. 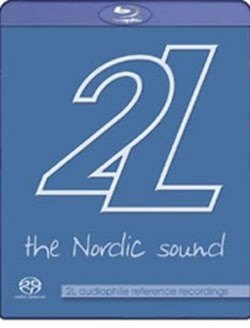 Hearing it first on the Parasound, I felt my ears twinge a little, that feeling of sound compression being too much and wanting to turn the volume down. Nothing horrible, as the Parasound is still a great amp, but after hearing it on the W4S it was hard to go back. There wasn’t a touch of twinge in my ears, I felt like I could have turned the volume up more and it would have only sounded better. These LS-6 speakers just love to be played loud. Sorry neighbors! One last note on The Piano soundtrack, I usually hate the saxophone track “Here to There” as it can be very harsh, but it sounded the best I’ve ever heard it through the SX-1000’s. The alto’s and baritones really took a spot in my room, with plenty of tangible body. “Young Blood” starts out with a mean bass line that carries out trough the whole song. On the Parasound it sounded strong, but a bit bloated and out of control. At first that added strength to the bass seemed nice, but as the song progressed it grew tiresome. The SX-1000’s on the other hand, were a bit more subdued and held the bass line under control. Individual notes were easier to discern and allowed for Norah’s voice to stay on top of the soundstage. “I Wouldn’t Need You” is a much different track, very laid back, quiet and subtle. I listened to it first on the SX-1000’s and immediately felt like I was in an intimate smoky club setting. Norah sat at the back of the soundstage, like she was sitting on a stool. The effect was great and closing my eyes really let my mind go. This song sounded completely different on the Parasound. 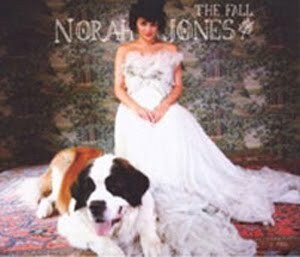 Norah’s voice was very forward, at the front of the soundstage and a lot of the atmosphere was lost. My ears would occasionally twinge on a dynamic peak as well. Overall, it was not bad, as her voice had a lot of presence and the band sounded clean and spacious, it was just a different sound. Personally, I really preferred the SX-1000’s on this album and found myself getting lost in the music with ease. First up was the Parasound and my first thought was a big front forward, almost in your face, sound. Peak dynamics again bothered my ears a bit, especially when the violin solo enters the stage. Switching over to the SX-1000’s I heard a difference right away. The soundstage was set back a bit, spread out beyond the speakers, and felt more sonically accurate. The harshness was gone and I even turned the volume up a couple notches. I also noticed how planted the musicians are on the virtual stage. I could almost point out the 3rd chair cello player, as if every instrument had its own space and sat there. Through my years of listening to orchestra’s through hifi systems, one thing that has bothered me about lower end reproduction is how a solo instrument will move around the soundstage with the change of notes. A violin playing a high ‘B flat’ might sound a couple inches from center than when the same violin hits a low ‘D’. The SX-1000’s give each instrument a very solid planting and it leads to a more tangible sound in my mind. 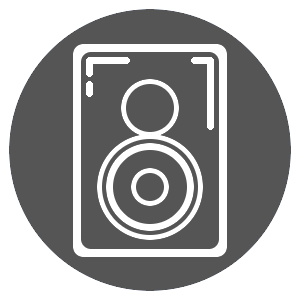 Since I use my home theater for both two channel music and movies, I like amps to deliver the dynamics of today’s lossless audio tracks as well. 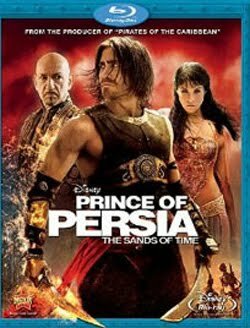 Prince of Persia turned out to have some great test material. The impact and dynamics of the soundtrack were much more apparent using the SX-1000’s. In the scene where Dastan first uses the dagger, the sound field projected by my speakers covered greater area and allowed the speakers themselves to better disappear. The lower frequencies during the siege on the sacred city of Alamo were tighter with more detail and quickness than the A23 could deliver. Small and light, cool running, dead quiet, tons of immediate power able to drive pretty much any home speaker manufactured today, and impeccable sound quality should make anyone in search of a high end amp take a look and listen. Class D has long had a poor reputation in the high end sound arena, but I think that day is quickly coming to an end. Products like the SX-1000 prove exactly what well engineered class D components are capable of. I was very impressed with these amps, so much so that they will not be returning to Wyred4Sound.